If you’re not the type to believe in the powers of gemstones, that’s fine. You’re part of the majority. 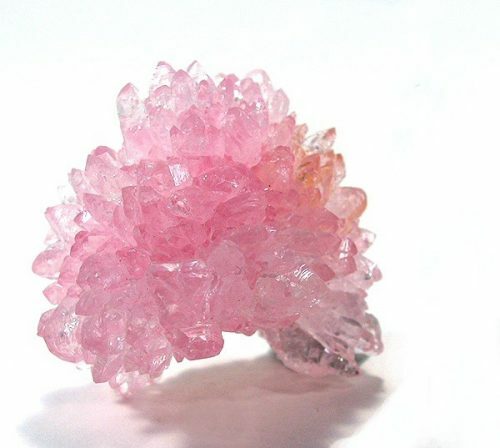 But even disbelievers notice something about the mystical benefits of rose quartz. Rose quartz has been used in civilizations throughout time. Ancient Rose and Assyria were the first to use it in jewelry making. It was used as a symbol to show that a business deal had been reached. For the Ancient Native Americans, this “love stone” could allay anger and disappointment. The Egyptians even believed this magical stone could prevent aging! Today, people who believe wear rose quartz as a way to heal a broken heart and provoke unconditional love. It helps in this regard by bringing your consciousness to a higher level, taking you up and beyond petty grievances with others and promoting compassion instead. Connected with the element of water, rose quartz instills healing properties, which are naturally fluid. These stones can wash away toxic energies and emotions long trapped inside of you. Deeply feminine, rose quartz radiates a pink that heals and cleanses, as well as promotes a “higher love” residing deep in all of us. Does this make a rose quartz believer out of you? Probably not. But as many figure it, believing in a healing talisman couldn’t hurt. Sometimes its the most minor of beliefs that can make a big spiritual difference in our lives. And regardless of your belief system, its a beautifully pink and radiant stone, begging for appreciation and reverence, don’t you agree? Can Gems Communicate with You?